lets you know whenever any new or changed web pages appear on Best- Running-Tips.com. It lets you know about great deals I find on the net for you and points out some of my special pages that you might otherwise miss. It even lets you know when I send out the Best-Running-Tips Newsletter. Very good in case you'd like this special e-zine, but don't like to give your e-mail address, or if your ISP tends to over-filter causing you to lose mail. To subscribe to my blog (no e-mail necessary), right-click on the orange RSS button (see buttons on the left hand side below the nav bar) and then paste the URL into your RSS reader. If you are not sure what RSS and blogging is all about, click on the "What's an RSS Feed?" link (also left margin). Once you start, you will be amazed at what RSS can do. 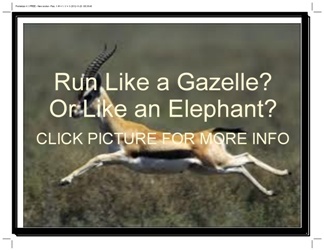 Best Running Tips is the website that provides all the tips to enhance your running. 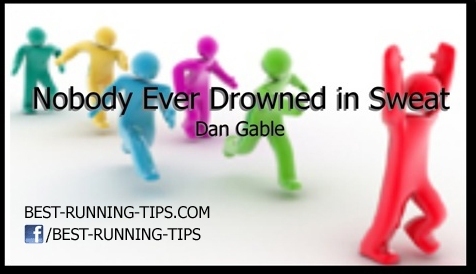 Training for beginners and the more advanced, running shoes, apparel, gear, it's all there! Continue reading "Best Running Tips :: On Training, Apparel and Gear"
Continue reading "Woman Within FullSport "
Continue reading "New Balance - Off trail runners [2011 release]"
Cross-training is often discussed in the running community. Is it good for you or not? 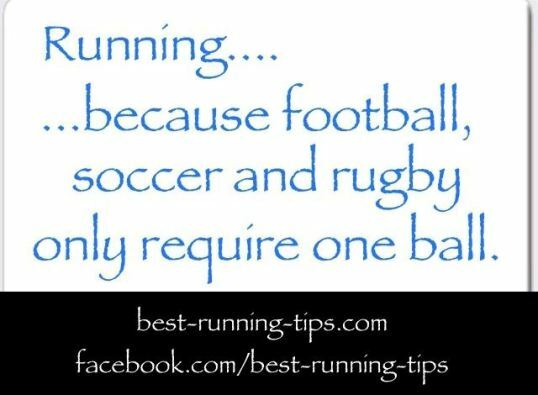 Best-Running-Tips.com offers you a healthy perspective. Continue reading "Best Running Tips :: Cross-Training for Runners - A Healthy Perspective"
OK, now, I have got some exciting news for you. I have just completed my weight loss ebook. It's called "Achieve". One of the big problems I have seen with people who are trying to lose weight is that they get "stuffed around" by the weight loss industry. Do this diet. Take this pill. Swallow this powder. Etc. But what you really need to start taking control of your weight loss is a well thought out plan. A plan you help create yourself. A plan you commit to. This book has just become available on the market. So, as an introduction offer, the price for the book is now $10,- for the next three days only. That's ten bucks that can change your life forever. To get the discount, simply use discount code "BLOG" in the checkout. 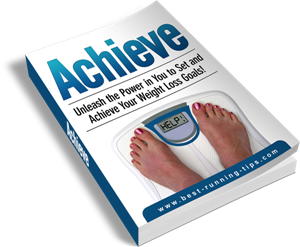 Continue reading ""Achieve" - Lose Weight on Your Own Terms"
Do you do some plyometrics as part of your cross-training routine? In this video I share with you some exercises you can do that help get you that spring in your step, so every step you take is more powerful. This video goes pretty quickly. 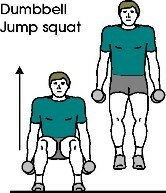 I will soon provide an edited, somewhat longer, version, that tells a bit more about proper technique when doing these exercises. Continue reading "Three Plyometric Exercises You Can Do to Get Faster"
Have you accomplished something remarkable with your running? A first marathon, incredible weight loss, you have discovered how great running is, an amazing personal record, maybe even a very embarrassing "runs during a run" story etc. Anything you think is worth a story! Get into contact with me. I will feature your story on my website with a photo of you, a short interview and of course, your achievement. Click the link below and fill in the contact form. I will be in contact with you soon enough. Continue reading "Tell Me Your Story"
I quite often get a mid-afternoon slump, especially if I have been out for a morning or lunchtime run. My remedy? Well first of all, of course, I try to make sure I sleep well and eat well. But sometimes that isn't quite enough. Sometimes I need that little bit extra. For example, when I am training for a marathon. When I am stepping up my training to higher mileage or more intensity. 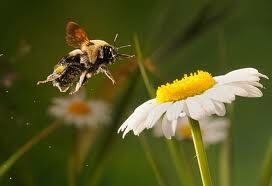 I have found that for those times bee pollen can help give me the kick I need. With Run Your Best 10k you don't have to worry anymore about using sub-standard programs you find on the internet. Order in the next three days with use of discount code BLOG19JUL and you'll get 41% off. And... in the next week or two I will add a few new "Break Through the Barrier" programs to the book. Order now and you will get those updates as well! Continue reading "Run Your Best 10k - Three Day Special"
Once you can comfortably do 30 - 60 minute easy runs, faster workouts become more important, especially tempo running. 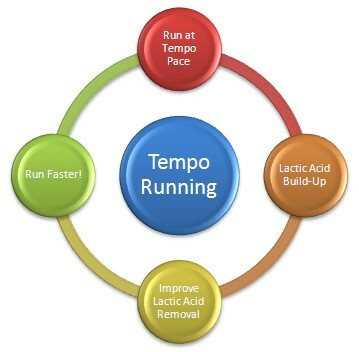 Tempo running should be one of the staples of your running program. Alternatively, follow the link below for an infographic on tempo running. Continue reading "Tempo Running Workout Infographic"
The marathon has got an incredibly rich history. Check out this page to learn why the marathon has got its current length, who Spiridon Louis is and what happened to Emil Zatopek in his first marathon. But I like this page the most for the women who feature in it. Check out the videos I included about Katrine Switzer and Kerryn McCann, two incredible women who wrote marathon history. 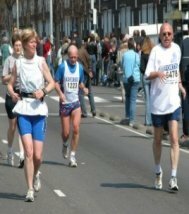 Continue reading "History of the Marathon - Incredible Moments"
Want to know what a fartlek workout is? Check out the infographic that will tell you what you need to know in one easy picture. 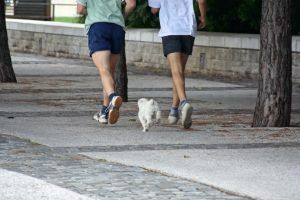 Continue reading "The Fartlek Workout - Fartlek Running Training Explained in One Easy Picture"
Continue reading "Top Ten Tips for Running Races - Achieve Your Best in Your Next Race"
Losing weight is not easy. You need some useful tips, a nudge in the right direction, a helping hand. With the 101 Belly Fat Tips ebook + Lose 10 Pounds mini-series you are well on your way to weight loss success. Every type of running training serves a different purpose. 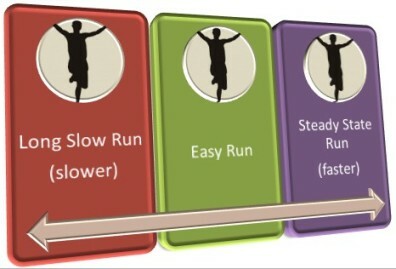 By doing different types of workouts you become a better runner. Marathon Training Secrets Now Also on Kindle! I have just placed Marathon Training Secrets on the Amazon Marketplace. Want to get it for free? Then just go to this page. Unfortunately I can't make it available for free via Amazon (long and complex story). But if you are a Kindle user you can at least get it via Amazon for almost nothing in Kindle-optimised format! Veronique Billat trains elite runners. She has found a few great workouts to improve your running and increase your running speed. Continue reading "Special Running Workouts :: Billat's Four by Five and the Thirty-Thirty"
The core of your running program should be base running drills. Read this page to discover why base running is so important. Continue reading "Base Running Drills - The Foundation of Your Running"
Check out the perfect 12-week 10k running program for beginners. This training program is guaranteed to get you ready for your first 10 k race! 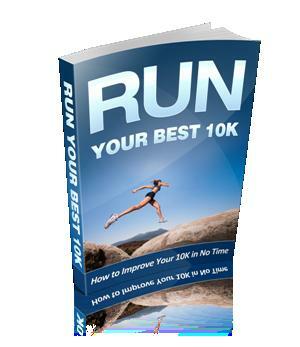 Continue reading "Best Running Tips :: 10k Running Program for Beginners - A 12 Week Training Program for Your First 10k"
The running training section of Best Running Tips aims to be YOUR source online for running training information. 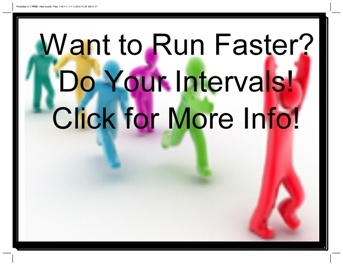 Find information about running workouts, running schedules and more. Continue reading "The Ultimate Running Training Collection"
Walking vs Running - What is Better for You? Advantages and Disadvantages Explored! Walking vs running, which one is better? What is more beneficial? On this page we explore the advantages and disadvantages of both and find a happy medium! Continue reading "Walking vs Running - What is Better for You? Advantages and Disadvantages Explored!" Running and Weight Loss - What You Need to Know and Do to Start Shedding Some Pounds! Running and weight loss go hand in hand. When thinking about running for weight loss make sure you check out this page. 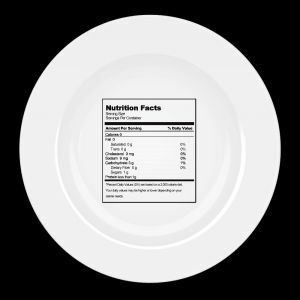 Continue reading "Running and Weight Loss - What You Need to Know and Do to Start Shedding Some Pounds!" Running for Fitness - How Should You Run? How Much Should You Run? Continue reading "Running for Fitness - How Should You Run? How Much Should You Run?" Running for weight loss? Well, running is the best thing you can do to battle the bulge! Find out how to most effectively run for weight loss in this article ! Continue reading "Running for Weight Loss - The Things You Can Do to Battle the Bulge"
Continue reading "How to Start Running - Six Running Tips for Beginners That Will Help You Get Started With Running"
Continue reading "10k Time Getting Slower"
Continue reading "Training for my Second 10K"
The Best Running Tips Newsletter provides you with the latest running tips. This issue talks about a trail run I recently did and some other things! 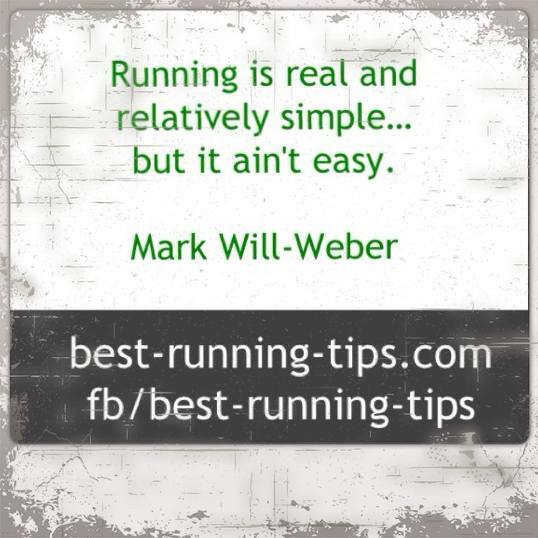 Continue reading "Best Running Tips Newsletter, Issue #041 -- Happy Trails"
All questions about tempo running are answered here. What is tempo running? Why do we do it? How do we do it best? Check this worthful page out to improve your performance ! Continue reading "Tempo Running - Reasons Why We Do It and Top Tempo Workouts Explained"